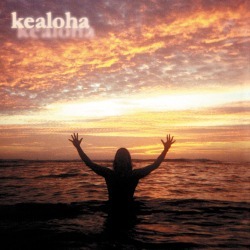 Kealoha, the full length spoken word CD, fuses poetry with various genres of music including hip-hop beats, slack key compositions, acoustic soul instrumentals, and melodic vocals. Expect to hear saxophones, djembe and conga drums, beat-box percussion, guitars, bass riffs, some a capella tracks, and some live performances from Jason Scott Lee's Ulua Theatre, Hale Noa, and HawaiiSlam's First Thursdays. Featured artists include Barry Flanagan (Hapa), HawaiianRyan (102.7 Da Bomb), Selah Geissler (HawaiiSlam Team), Gloria Baraquio (Living Local), Cephalopod (electronic beat box improvisations), Darin Leong (Grammy Nominee), Communication (organic hip-hop band), Tempo Valley, and more. To order online, click on one of the "Buy Now" buttons located above or below. The cost is $12.99 plus $1.50 shipping and handling. If you prefer to order by sending us a check, contact us at info@KealohaPoetry.com or call us at (808) 387-9664 and we'll take care of the details.